They live in areas with low vegetation and few trees. They are the most common falcon in North America. They dine on insects, small rodents, small birds. I hope you’ve enjoyed today’s photo, Haiku, and learning. Thanks for stopping by. 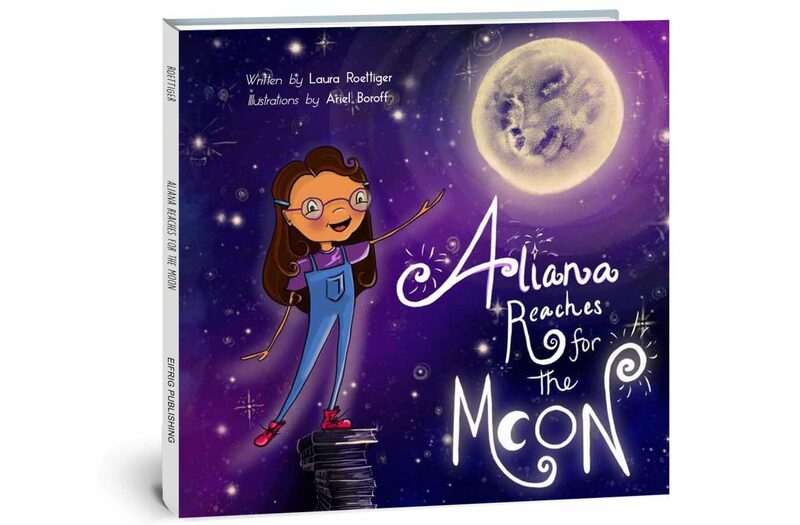 This week, we received accolades from two STEM (Science, Technology, Engineering, Math) professionals for the book ALIANA REACHES FOR THE MOON. The Challenger Center is an educational organization that offers amazing opportunities for learning about Space Science Education at over 40 centers around the world, primarily located in the US. A few more photos from Wings Over the Rockies Air and Space Museum to celebrate National STEM Day! A museum made to inspire anyone who looks at the sky with wonder! On a recent hike, we noticed what we thought were spider webs on trees along the trail. Upon further inspection, they each contained a large number of caterpillars. This is new to me so I’ve done some research and there are several species of caterpillars that construct silken shelters or tents. These caterpillars will turn into moths. Some of these species are considered pests due to the damage they inflict on the trees. A great day for a field trip with second and third graders. We learned about fossils and how different the climate of this area is from 65 million years ago. The idea that Colorado was a tropical area (palm frond fossils prove this) and that dinosaurs are more closely related to birds than lizards (the word dinosaur come from “terrible lizard” in Greek) were part of the new learning gained as we walked the Triceratops Trail. A short stop in the museum and the “sand pit” to dig for fossils made for a fun day. I spent a couple of hours with my 18 month old neighbor today. If you haven’t had the pleasure of watching a little one explore recently, you don’t know what you’re missing. Everything fascinates him and his enthusiasm is contagious. Watching a wheel spin, trying to pick up rocks that are too heavy, finding one that’s not and testing the sounds it makes is all part of being a scientist. Friday afternoon happy hour by the pond, a lone heron sits among the ibises. It turns out birds of a feather don’t always flock together and that ibis are known for mixed species foraging. Atop a building adjacent to the pond is an osprey nest. I’m not typically good at capturing birds in flight so I’m especially proud of this photo. 1. They are also known as sea or river hawks. 3. They can be found on 6 of the 7 continents; not found on Antarctica.